Our latest remote viewing project targeted one of the most notorious unidentified objects photographed by NASA over the past two decades. 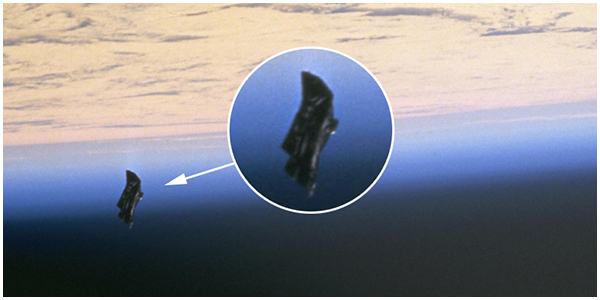 Dubbed the “Black Knight” satellite in 1998, a series of images were captured of an unusual object in low earth orbit. The sequence was acquired by astronauts aboard Space Shuttle Endeavour’s mission STS-88, which was the first American undertaking in support of assembly on the International Space Station (ISS). I participated as a blind viewer, along with Morgan Farrell and Dan Mann, while Michael Chung chose the target and operated as project manager. Nice work, gentlemen. (I won't give away the ending for other readers). But it's really interesting what some mysteries turn out to be. I like how this project shows the practical nature of this discipline - gathering facts and reviewing the evidence v.s. going on personal biases however exciting they might be. Looking forward to this! Well done, SOR Team!